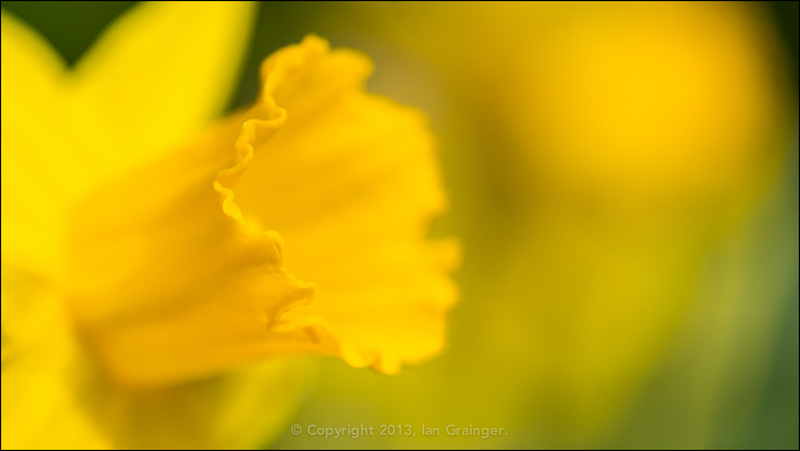 What better way to celebrate St David's day than to go out and shoot some daffodils? The only problem is that here, in the south of England, they haven't arrived yet this year! Not to worry! A quick search through my image archive provided me with a suitable image to mark the day. Looking back through my archive also provided me with the opportunity to work out which types of shots I was missing. For instance, I didn't have many shots where there were more than a couple of daffodils in the frame, as the vast majority of my images are macros.